This topic contains 3 replies, has 2 voices, and was last updated by Mags 1 year, 6 months ago. I been having Social Anxiety Disorder since I was young. Its hard for me to talk to anyone (workers, family, etc..). The fear of not doing enough scares me. Also, I fear judgement from people. I guess that is why I don’t go to social events such as Christmas parties at work. Just fear that I would make a total fool out of myself. I even fear getting into my car. Fear of hitting someone or someone hitting me. I would avoid it as much as possible. Today I have decided to try overcome my fear of driving by getting in a car and driving from my town and back to my house (20 minute away). Felt scare but I just focus on myself. I want to continue but I feel that I have no support system. I feel like I have become this burden for my family. I am 28 and still I can’t even drive to work by myself. My brother who is 21 can drive on his own!! I feel hopeless!! In short, my goal is to drive from my house to work by myself and built from their. Sorry, if this is long but I just want to throw everything out and the open. Thank you, it really means alot to me. I have been in counseling before when I was 23 but it didn’t help. I have been exercising and that has help. Also, I stop drinking sodas and eating right. I drived with my brother to a mini store (10 min away) and back home on Tuesday. I will continue to add more days. I need to fight this fear. Any advice or tips? Great work practicing driving. Keep building on the driving work, you want to build up to an hour as many days as you can. It is okay to drive someplace 10 minutes away and turn around and do it again. If you have a place that would make your life easier if you could go alone (like the store) keep driving there on a loop (one day 2 times, the next day 3 times). Eventually the route will start to feel less anxiety provoking and you will have 1 place you can go easily (and the route maybe on the way to another important place). In other words, do this in a way to give yourself a victory (which is will be) when you can drive to that place alone, we all build skills on little victories! I am so proud that you are practicing even if it is uncomfortable. Please let me know about your progress and set backs). 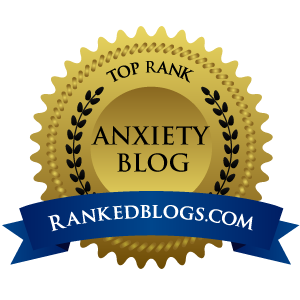 The forum ‘Social Anxiety’ is closed to new topics and replies.